To increase your understanding of the Islamic kingdom which flourished in Indonesia from its inception, the geographical location and its development in the political, economic, social and cultural can you see in the following description of the material. Kingdom of Samudra Pasai in history as the first Islamic kingdom. no central Islamic rule in Peureula (Perlak) in the mid-ninth century. Angry Silu of Ocean who managed to unite the region and Pasai Ocean. And the two areas was used as a kingdom by the name of Pasai Ocean. bordering the Strait of Malacca. a. Note Marcopolo of Venetia. b. Note Ibn Batulah from Morocco. c. Gravestones Sultan Malik al-Saleh. West coast of Sumatra as well developed as Bandar Transito. community and leadership principles that are close to the people. Sultan Muhammad (al-Tahir Malik I). Sultan Ahmad (al-Tahir Malik II). Zaenal Sultan Abidin (Malik al-Tahir III). or Gelagahwangi which is an area duchy under the rule of Majapahit. UB V (Bhre Kertabumi) is the king of Majapahit. Demak to get away with attacks on the Majapahit. already is irrigated lowland rivers Lusi). important for the kingdom of Demak. Under the leadership of Fatahillah. For that the area under the authority of Demak. and focus on her religion. reigned from 1552 to 1570. Sunda so very busy area for strategic and national trade. kingdom of Mataram Hindu-Buddhist era. Probably just a coincidence the same name. Demak civil war in the background of the emergence of the kingdom Pajang. is a descendant of Prince Trenggono. comes the sequel Mataram kingdom. Cede the city around the city of Yogyakarta today. 1.latar behind the founding of the kingdom of Mataram! Display throne to Sutawijaya so Sutawijaya establish the kingdom of Mataram. 2.Tindakan-action as king Sultan Agung of Mataram! -Unifying the areas power through marriage. -Perform attacks on VOC in Batavia in 1628 and 1629. -Integrate cultural elements of Hinduism, Buddhism and Islam. 3. The causes of the destruction of the kingdom of Mataram! -The absence of capable kings such as Sultan Agung. -The number of areas that escape. The VOC-intervention against the government of Mataram. there are a few of them Gowa kingdom, Tallo, Bone, Sopeng, Wajo and Sidenreng. still used as the name of the provincial capital of South Sulawesi. The following description of the material. Napier king had embraced Islam. assisted by Manrabia Daeng (King Tallo) as the title of Sultan Abdullah Mangkubumi. Napier area is up to the West Nusa Tenggara. East) and Ambon hindered by the presence of the kingdom of Macassar. give him a nickname as the Roosters from the East. -sheep political race between the kingdom of Bone Napier (Napier's territory). allied with the VOC to destroy Napier. a. VOC obtain a monopoly of trade in Makassar. b. The Netherlands can be set up fort in Napier. d. Aru Palaka recognized as king of Bone. Hasannudin) continue the resistance against the Dutch. Napier, and Napier suffered destruction. -It is located strategically in the path of international trade. -The fall of Malacca into the hands of the Portuguese in 1511.
is a mountainous island and the fertile terrain. Maluku islands known as the largest producer of spices in the world. North called Ulilima and Ulisiwa. Halmahera island to West Irian. more pronounced after the arrival of the West to the Maluku Islands. set up a fortress in Ternate. then he allied dengwn Tidore. 1. the entry of Islam in the Moluccas! and then Islam spread by the preachers one of them from Java. Carry-Portuguese politics pitting between Ternate and Tidore. -Portuguese fort established in the Moluccas (Maluku instill in his power). Do-Portuguese trade monopoly in the Moluccas. 3. result of the agreement for the people of Maluku Saragossa! 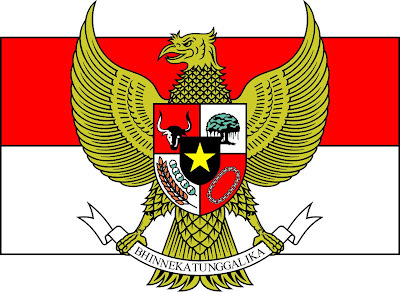 -Ruled by the Portuguese Moluccas. -Trade monopolized by the Portuguese Moluccas. -The people took up arms against the Portuguese Moluccas.